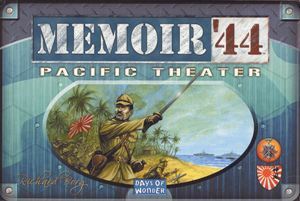 From the jungles of Japanese-occupied Burma to the desolate slopes of long-forgotten atolls, discover this latest exciting expansion for Memoir '44! The Pacific Theater expansion introduces many new Japanese and Allied units. Note: This is an expansion game and requires the Memoir '44 board game to play. Part of the Memoir 44 Game Series. Note: This is an expansion game and requires the Memoir '44 board game to play. This is not a complete game by itself. 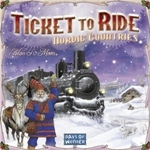 View One of the most popular games ever designed, Ticket to Ride is a simple yet strategic game of connecting cities in the United States with trains. 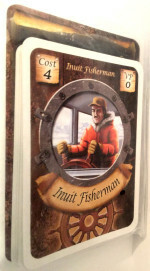 Players must balance drawing cards into their hand with claiming routes before opponents in this friendly, yet competitive board game. The rules can be taught in only a few minutes, but games are varied enough to give the game unlimited replayability. 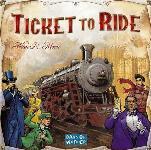 With scores of plastic trains and a beautiful board, this is a game you'll find yourself playing time and time again with all ages. A Must-Buy as a Gateway Game! View From the cliffs of Pointe-du-Hoc to the hedgerow battles in the Corentin Peninsula and beyond -- Memoir '44 airdrops you into the key battles that turned the tide in Western Europe during the summer of 1944. Omaha Beach, Pegasus Bridge, Operation Cobra. Step in and command your troops on the battlefields that defined History in the 20th century! 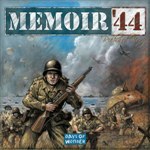 If you enjoy this game, check out all expansions and add-ons for Memoir '44. 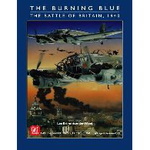 From the cliffs of Pointe-du-Hoc to the hedgerow battles in the Corentin Peninsula and beyond -- Memoir '44 airdrops you into the key battles that turned the tide in Western Europe during the summer of 1944. Omaha Beach, Pegasus Bridge, Operation Cobra. Step in and command your troops on the battlefields that defined History in the 20th century! 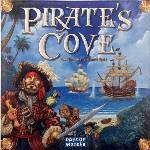 Come aboard and sail to Pirate's Cove... the legendary hideaway of thieving pirates and cutthroat buccaneers. Your objective: to battle for the rights to plunder and become the most famed and feared Pirate the world has ever seen. To do so, you will need to navigate shrewdly, fight recklessly and pillage mercilessly. One of the most successful games of all time, Settlers of Catan is a trading and building game set in the mythical world of Catan. Players roll dice to determine which resources are generated each round and then must strategically trade those resources with other players to get what they need to build their settlements, cities, and roads. This is now replaced by Catan 5th Edition. View From the frozen shores of Lake Ladoga to the burning ruins of Stalingrad, relive some of the most intense battles of WWII, where entire Army groups disappeared faster than a single battalion on the beaches of Normandy. This expansion is devoted to the ferocious battles that pit the Axis and Soviet forces against each other. From the frozen shores of Lake Ladoga to the burning ruins of Stalingrad, relive some of the most intense battles of WWII, where entire Army groups disappeared faster than a single battalion on the beaches of Normandy. This expansion is devoted to the ferocious battles that pit the Axis and Soviet forces against each other. View The Memoir'44 Terrain Pack Expansion is filled to the brim with new terrain pieces, new elite unit badges, and additional victory medals. This expansion also includes dozens of new game elements, including rules for North African warfare, minefields, big gun markers, radar stations, supply depots, airfields and more.